SeaWorld is offering free admission to pint-sized Florida residents. 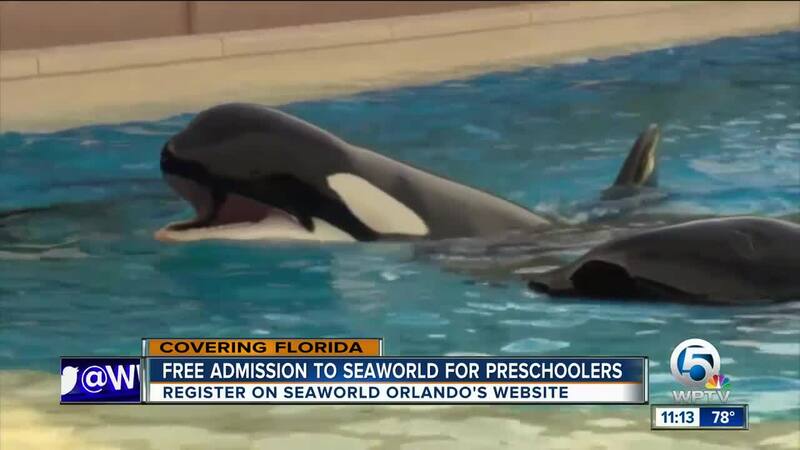 SeaWorld is offering free admission to pint-sized Florida residents. Kids five and younger can get a free "Preschool Card" valid for visits through Dec. 31, 2019. You have to register by Jan. 27 and ticket redemption has to occur by Feb. 28. The offer is only available by registering online.